As 2016 year end approaches, we rush to get lodge our tax returns. However, we must also think of the future. We expect to finish 2016 with Britain set to leave the EU by 2019 and with Donald Trump elected as President of the US from 20th January 2017. But what does 2017 hold for the UK’s SME and owner-managed business sector in Coventry? Most businesses I work with are facing the dual challenges of growing the business and growing revenues to squeeze profits. That means becoming the business of choice that customers immediately perceive the value you offer. Brexit is likely to have an impact on SMEs in 2017, whether they are in the export business or not. Now is a great time to reflect on what is the one thing you could do in 2017 that would move you towards becoming the go to business and looking to mitigate the risks that Brexit could present to your business. Now is the time to focus on improving efficiency and cutting the fat out of your business. Askews are able to do a complete review of your business, picking your winning strengths and exposing your areas of weakness. Also, the SME community in 2017 needs to be preparing for what will be the biggest change to the tax system in living memory – Making Tax Digital. HMRC is in the final stages of its consultation period with the business community and plans to announce the roll out strategy in January 2017, meaning businesses will only have 15 months to adopt the changes. 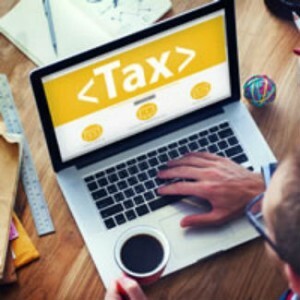 The SME community will feel the effects first as they are targeted first to use this new digital tax reporting system. This large technological change could be a financial burden for many SMEs. You need to consider the overhead of setting up a digital accountancy system and time and effort spent learning how to use it and keeping it up to date. Perhaps this is where you consider using Askews accountants to help you avoid pitfalls and falling foul of HMRC and maybe saving some money on the way. Askews Accountants can advise you on the changes resulting from the potential effects of Brexit and the introduction of digital tax reporting. We can discuss how these changes will affect your business so that you understand which options are best for you in complete confidence. July 6th, 2017 | Comments Off on Could your business claim R&D tax relief? November 25th, 2016 | Comments Off on What the Autumn Statement 2016 means for your business?